This unique Photographic Safari tour, escorted by a photographer from International Award Winning "Clique Photography Studio" is for anyone at any level who owns a camera whether compact or DSLR. On this Photographic Safari, you will learn new or develop existing skills to realize your full photographic potential while enjoying a holiday exploring new and suprising locations. This tour will take you on a journey to discover the essence of Mauritius, its people, its culture, its beautiful landscape, like no other tour on the island. Just like a professional, you will hone in on skills and industry techniques to improve style, lighting and creative composition of your images. 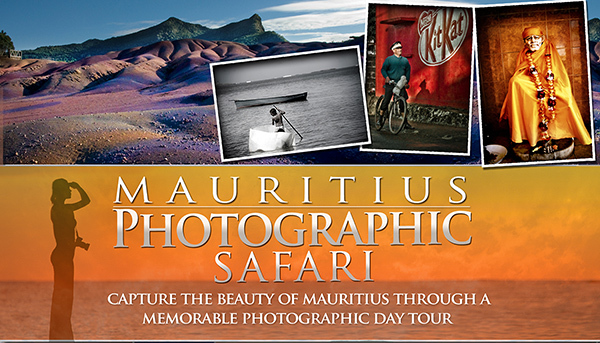 Discover the secrets of Port Louis on this guided walking photographics tour. Discover the secrets that this island has to offer, from its people, culture and landscapes. Day includes selected locations, boat excursions & lunch. Private tour Max 4 people.